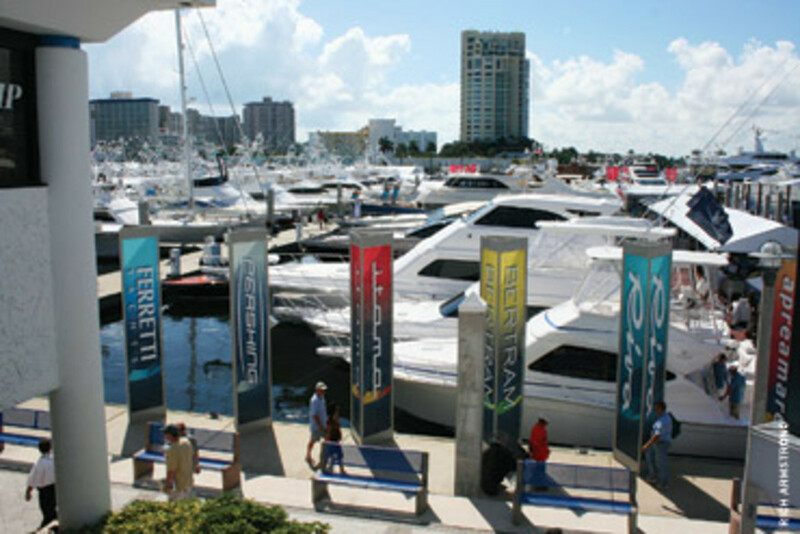 The Fort Lauderdale International Boat Show is more than just a boat show. With more than 3 million square feet of exhibit space and $3 billion worth of boats, engines, accessories and more, it&apos;s the industry&apos;s premier fall event. "The thing that makes Fort Lauderdale Fort Lauderdale is the support that it gets from the manufacturers and the fact that the whole industry is here," explains Efrem "Skip" Zimbalist III, president and CEO of show organizer Show Management. "So it becomes, in addition to a boat-selling show, a boat networking show, a [business-to-business] show where you can come and the suppliers to the industry come and meet their customers." Zimbalist continues: "I think a lot of brokers and manufacturers have reduced the number of shows that they&apos;re doing in the U.S. and around and the world and concentrating on a smaller number, and thankfully FLIBS is one of the ones they&apos;re concentrating on." The 51st annual event, the largest in-water boat show in the world, takes place Oct. 28 through Nov. 1. The show will be held at the Bahia Mar Yachting Center, the Hall of Fame Marina, the Las Olas Municipal Marina, the Hilton Fort Lauderdale Marina and the Greater Fort Lauderdale/Broward County Convention Center. A network of shuttle buses, water taxis and riverboats will serve the expected 1,200 exhibitors. Speaking with Soundings Trade Only in late August, Zimbalist was optimistic. Exhibit contracts were running 4 percent ahead of last year and e-tickets were running about 10 days ahead of 2009 sales after being available for only a short time. "It&apos;s a positive feeling that the team has that things are moving," Zimbalist says. "In terms of big boats, we&apos;ll have more than ever in boats over 80 feet. In terms of medium-sized and smaller boats, we&apos;ve got a lot of exhibitors back that weren&apos;t in last year. The former Genmar properties are back, either under Platinum Equity or under Irwin Jacobs&apos; new company, so that&apos;s encouraging. We always get a last-minute rush, but I&apos;m encouraged." Carlos Vidueira, executive director of show owner Marine Industries Association of South Florida, also was optimistic with about eight weeks until the show. "We&apos;re very encouraged at how things are shaping up," he says. "We&apos;re expecting some new and exciting additions. The response for both in-water and out-of-the-water displays is very strong. We expect the show, from an exhibitor standpoint, to be very strong." New exhibitors include Abu Dhabi Mar, a group that comprises yacht builders ADM Shipyards, CMN and Nobiskrug. Abu Dhabi Mar has one of the largest exhibits in the yacht builders&apos; tent. Among the new exhibits is a submarine from Brownie&apos;s YachtDiver that will do demonstration dives. Zimbalist says this year&apos;s show will offer more seminars - something attendees had sought. The International Game Fishing Association is sponsoring captain-led talks on offshore fishing, and seminars on diving are being offered. Also this year, a roving film crew will interview exhibitors during setup and throughout the show and those interviews, along with messages from sponsors and comments from attendees, will air at the food court and on the four cocktail barges. Among the boats, yachts, electronics, engines and accessories on display will be Derecktor Shipyards&apos; Cakewalk, which at 281 feet is said to be the largest yacht built in the United States since the 1930s. Other megayachts on display include Moran Yachts&apos; 247-foot Northern Star, Perini Navi&apos;s 201-foot Felicita West and Trinity Yachts&apos; nearly 200-foot Bacarella. This year&apos;s Fort Lauderdale show also is going "green" in several ways. Show Management will offset 100 percent of the greenhouse gas emissions from its electricity and fuel use at the show and, with this offset purchase, it will provide funding for the Greensburg (Kan.) Wind Farm renewable-energy project. Also, the convention center is on track for certification by the U.S. Green Building Council in Leadership in Energy and Environmental Design for the operation and management of an existing building. "The marine industry is all about approaching and conserving the beauty and wonder of our waterways," says Dane Graziano, senior vice president and COO of Show Management. "Supporting eco-friendly initiatives and sustainability of the Earth&apos;s natural resources is a logical priority for the boat show and the hundreds of industry veterans who participate each year." 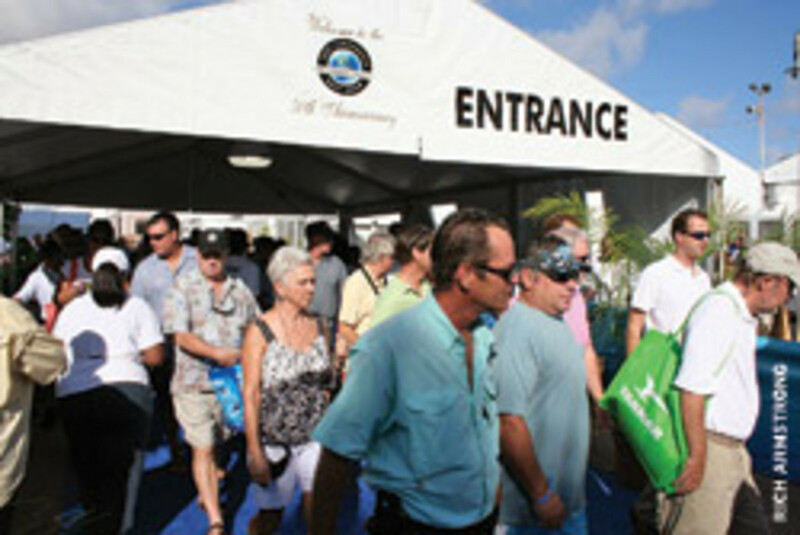 Exhibitors who spoke with Soundings Trade Only say Fort Lauderdale is one of the most important shows on their calendar. "The size of the show itself, just the sheer size of it, certainly rationalizes it as a destination target when you&apos;re trying to develop R&D timelines in regard to the development of new products," says Dave Walsh, director of marketing for Tiara Yachts. Tiara is displaying 10 boats at Fort Lauderdale this year, including the new 4500 Sovran. "[Fort Lauderdale] is always extremely important to us," Walsh says. "This is an opportunity for us, going into the fall if, you will, to be able to show boaters our vast array of new products, get them thinking about it, [and] then give us a chance to follow up with them. And all of that then leads into the Miami show." Grand Banks Yachts also is using Fort Lauderdale to show new models. Among the four boats on display will be the new 53 Aleutian RP, as well as the 72 Aleutian SC and the North American premiere of the 46 Eastbay SX. "For us, it&apos;s a good show because it definitely draws people from not just the Lauderdale area," says David Hensel, Grand Banks brand and marketing director. "We typically get buyers and prospects from up and down the East Coast. They&apos;ll fly in ... from around the country and around the world." Even if sales come weeks or months later, he says, the Fort Lauderdale show often plays a role in that process. Irwin Jacobs, chairman of J&D Acquisitions, will be at the show with Carver, Marquis, Seaswirl and Larson boats. These lines were absent last year because of the Genmar bankruptcy proceedings. "A lot of boat shows are very difficult in the sense of getting a return," Jacobs says. "I would say the Fort Lauderdale show is one of those shows that is really a must if you have the right product for that show and the customer base that comes to it." It hasn&apos;t been an easy summer for the boating industry, which is still climbing out of the recession and was profoundly affected by the Gulf of Mexico oil spill. So the industry is hoping for a good fall boat show season with increased attendance. "The economy continues to go up and down and sometimes there&apos;s no rhyme or reason. ... Going into Fort Lauderdale, we think we&apos;re positioned very well to have a great show," says Joey Weller, vice president of sales and marketing for Grady-White, which has introduced five new models in the last 18 months, some of which will be on display in Fort Lauderdale. Weller says Grady-White also is running the "best fall retail incentive program in our company&apos;s history" during the show. Zimbalist says that although the general economy is likely no better this year than it was at this time in 2009, he believes the brokerage market is better than last year. "That&apos;s kind of the shining star out there," he says. "A lot of used boats are selling. Volume is up in most categories and the prices are firming," Zimbalist says, adding that Fort Lauderdale attendees will have a chance to peruse many brokerage boats. "A lot of the inventory, the very distressed inventory, has moved out, particularly in the middle-market boats, so that volume is improving and is up, but there&apos;s still a ways to go. The new-boat market in the super-yacht [segment] is still weak because there&apos;s still a lot of brokerage inventory to clear out at pretty good prices." Jacobs says he believes much of the "secondary product" is gone and that now is the time for consumers to "wake up to the fact that the party is over with. They&apos;ve got to now look seriously at what boats really cost," he says. Hensel at Grand Banks acknowledges it&apos;s been a tough summer for his company, as it has been for most boatbuilders. "But we do feel that there&apos;s some momentum, based on the inquiries and the interest that we&apos;ve seen during the summer. We&apos;re going to see people coming to the shows to see these new boats," he says. "There&apos;s a little bit more of that sense that people want to go to the show and see the boats before they make their final decision." Although some may say boat shows are losing relevance, Fort Lauderdale exhibitors and organizers disagree. "You go to a boat show where you can see and feel and touch all of the options that you&apos;re thinking about side by side," Zimbalist says. "You still get a great price at a boat show and a lot of the companies have boat show specials that aren&apos;t available before or after. For boat shows that can offer these things ... there&apos;s a great future." 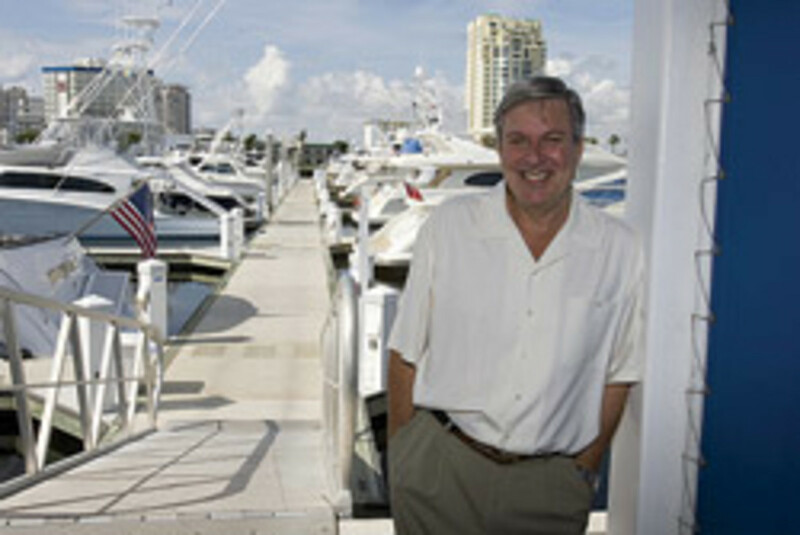 Visit www.showmanagement.com for information on the Fort Lauderdale International Boat Show.